SAN JOSÉ, CA— There is a saying that “Nobody is a prophet in her own home,” but Dancer/Trainer SHANNON RENEE BYNUM is the exception. 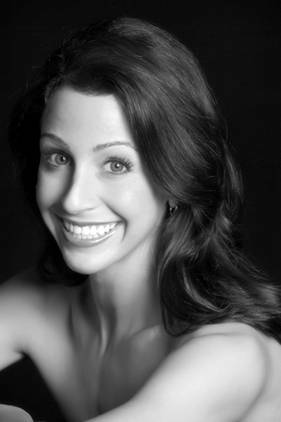 Born and raised in San José, California, she attended schools in the the Bay Area, but upon returning from New York where she went to study at the JOFFREY BALLET AND AMERICAN BALLET THEATRE SCHOOLS and completed her training as ABT’s Certified teacher, she returned home to do the two things she loves: to dance and to teach others. Looking like a “classical ballerina” and dancing with refinement, SHANNON debuted in Ballet San José, in 2006. Since then, she has danced in most Classical Ballets, among them: Swan Lake, Giselle, A Mid Summer Nights Dream, The Nutcracker, Coppelia, Carmen, Don Quixote and Cinderella, to name a few; interpreted many leading roles with different choreographers: Stevenson’s The Fairy Godmother in Cinderella, Dennis Nahat’s Spain in his Nutcracker, Twyla Tharp’s “That’s Life” in “Nine Sinatra Songs” and many solos, among them: The Lead ballerina in Paquita, Spain again in Gabay’s productions’ of The Nutcracker, Swanhilda’s Friend in Dennis Nahat’s Copellia, and the Gypsy Woman in Wes Chapman’s staging of Don Quixote. SHANNON also has a long Neo Classical Repertoire. C.W.B. How old were you when you started dancing? C.W.B: What in your opinion is the hardest part of dancing professionally? S. B.: The hardest part of dancing is the physical part. Dancing hurts, every day, (at times). When you are in Pointe Shoes all day, your feet hurt, your whole body hurts, but you have to learn to bare the pain, because you love your art so much. C.W.B: What do you love most about dancing? S.B. “I really love to connect with somebody in the audience. To be able to move somebody with the music, with the movements of my body. I have always loved to move and I have always loved music and when I dance, I have the two things I love put together. C.W.B. As a teacher and Trainer, what do you look for in your young dancing students? S.B: “They have to have the height, that’s a requirement, and they have to have the love for music and the love for movement. I think that those two are important. If they have those two together, you can produce an artist. But the most important thing they need to have is love. The thing that I look for in my students in my studio is that they love dancing, because even when dancing is a physical art you have to have soul to be a good dancer. C.W.B. How old are your students? C.W.B. You have danced lots of roles in different ballets Which do you consider your favorite role? C.B “For me, she was special. In a way, the role combines the way I am as a teacher and the way I am with my family members and with my animals (loving). So the role was very organic to me, very natural, almost maternal. I felt it on the stage. C.W.B. Can you tell our readers something about yourself as a person? SHANNON will be performing with Ballet San Jose during its three day program, at the Center for the Performing Arts on February 14,15,16.